St. Ives members circa 2000 at Divore, CA. 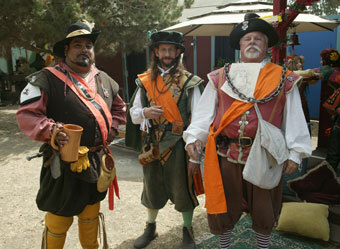 he St. Ives Historical Society is an outgrowth of the Guild of St. Ives, a theatrical group which has been an integral part of the Southern California Renaissance Pleasure Faire since the early 1980's. Ives was a theatrical powerhouse whose members created elaborate and often humorous street theater as well as performing both classic and new theatrical works. Selected scenes from "A Midsummer Night's Dream"? We had two groups performing it, one of adults and one of children. A trial conducted according to English common law? The way we did it, the judges sometimes paid higher fines than the guilty parties. 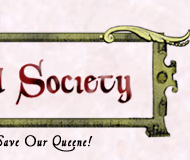 An elaborate theatrical banquet, with many courses of entertainment and a fistfight between the servants? We did it every week. Elizabethan songs in four-part harmony? Would you like those in English, Italian, French, or Latin? 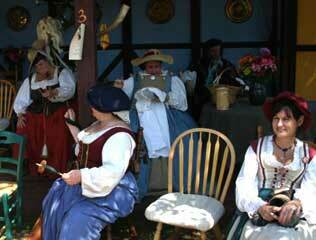 With or without our Elizabethan band? Before or after our dance set? The members of this group met during the course of the year for Guild meetings, potluck barbecues, and even (occasionally) rehearsals. At a party following one of our meetings various members started discussing the large historical libraries and the breadth of knowledge that existed among various members of the Guild. We felt that such a resource of knowledge, documentation, and skills should be shared, and resolved to create an organization to encourage the study and re-enactment of history, with an emphasis on theater, music, and crafts. 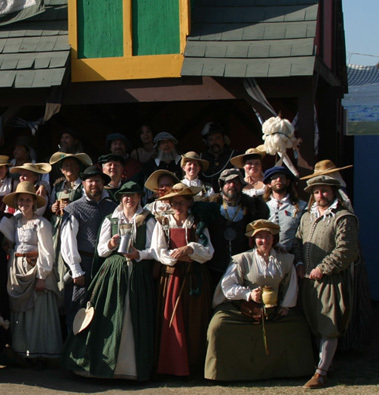 Though our principal experience was in the era of Elizabethan England, it was decided to expand our scope to allow for study and re-enactment of other periods and cultures. 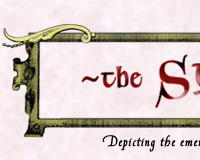 n 1996 we formed a Board of Directors and filed papers for non-profit status in the State of California as the Saint Ives Historical Society. We still do all the things the Guild used to do, but we do them even better. 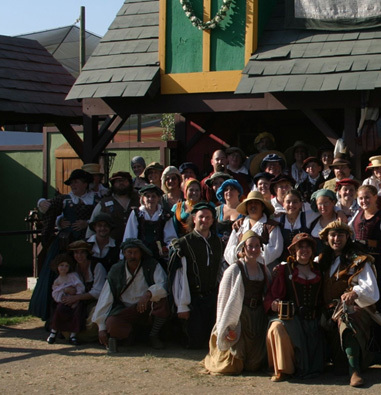 At Southern California Renaissance Faire in 1998, we created an elaborately detailed town square which included a 35 foot high bell tower with carillon, and we filled that area with craftsmen, artists, a rowdy troop of town constables, a traveling medicine show, and other historically accurate characters. 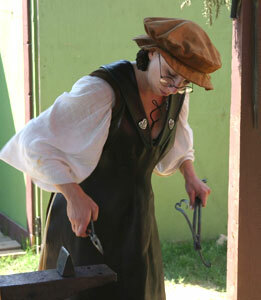 Since then, the organization has begun several new programs, including a donation program for school libraries and crafts apprenticeships in blacksmithing and historical painting techniques. We are attracting new people with ancient skills, and helping to keep ancient arts alive. 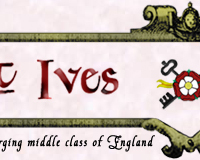 © copyright 2001 St Ives Historical Society. Images used by permission include GarPhoto.com, Joe Foley, Josh Ritter and Chris Beasley. 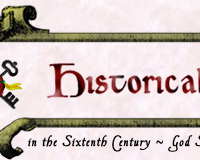 Site design by Niles Mackrell - Renaissance artwork includes Braun & Hogenberg and Joris Hoefnagel.